Are you ready to own your own franchise? Discover how FranCoach can help you start from ground zero, and take you to opening day of your new franchise. Our process is detailed and thorough to ensure your success. The FranCoach process is very thorough and detailed. The first step is to take the time to get to know each client from a professional and personal standpoint. Our franchise consultants help clients truly uncover what their ideal role and business model should look like. This information is gathered during our introductory conversation, our assessment call, and from the client profile. After we have painted a picture of what the business scenario should look like, the FranCoach team, led by your personal franchise coach, will begin an intense research process. FranCoach scours the hundreds of partner franchisors to find the best possible matches. The relationship FranCoach has with the franchisors is such that we know exactly what each franchisor wants in their ideal owner - what skills, desired role, goals, values, and financial requirements are sought out by a franchise to ensure their owners are highly successful. This means that when our franchise experts are ready to introduce a client to a franchisor, we know this connection will meet many, and ideally all, of the requirements both sides have. The research process can take 3-5 days. FranCoach and the client will reconnect at this point to discuss the 2-3 franchisors the coach feels are the most likely fit. We will discuss these franchisors at a high level and review the Discovery Process that we are about to begin with each franchisor. 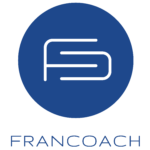 FranCoach facilitates introductory calls with each franchisor and the client will begin the “Discovery Process”. The client-franchisor Discovery Process can take an average of 6-8 weeks to complete. There are numerous things the franchise consultant and the FranCoach team will do to help clients to navigate their way through the Discovery Process. This is a time of intense learning and having a franchise expert at your side assures nothing gets missed. FranCoach is also partnered with the top funding companies in the industry. There are numerous ways in which a franchise can be funded. Some of these options are specific to franchising and at least one of which very few people even know exists. When clients begin to speak to franchisors, FranCoach will facilitate an introduction to a funding company. This conversation will help clients learn about all the options that will be available to them - clients can then have a peace of mind when talking to franchisors knowing they have multiple ways in which to fund the perfect franchise. This is one of the most exciting days in the life of our clients - and for those of us at FranCoach - the Grand Opening of your new Franchise! There you are with the oversize scissors, your family by your side, your friends and members of the local community in attendance. The press has gathered, and they are snapping photos while you cut the giant ribbon symbolizing the opening of your new business. Can you picture it? Can you? The first step in making that picture a reality is scheduling an introductory call with FranCoach so what are you waiting for? Let’s talk!